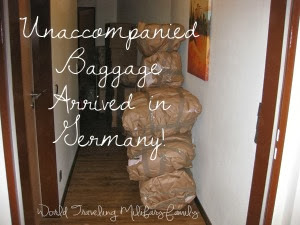 I’m happy to say that our Unaccompanied Baggage, aka Express Shipment arrived safe and sound in Germany!! It was scheduled to arrive in Germany no later than December 5th but it actually arrived early! It arrived on December 2nd and they wanted to schedule delivery for the 5th. 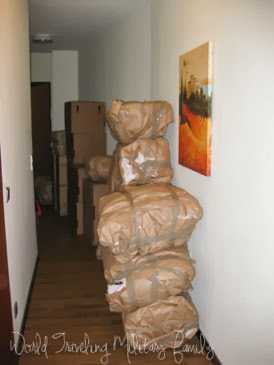 We were still in on base TLF at the time so we had it delivered the following week after we moved into the Wiedenhof. We packed & shipped it Nov. 8th and it was here less than a month later. They said they would deliver between 8 am and 5 pm and arrived around 9 am, in the US that would’ve meant the would have arrived at 4:45 pm, LOL! 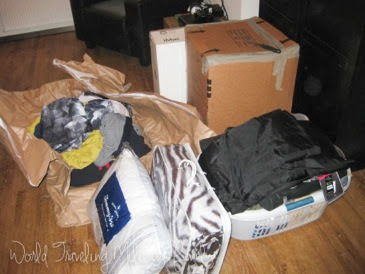 The guys were very professional and efficient and had it all brought into the apartment in no time. 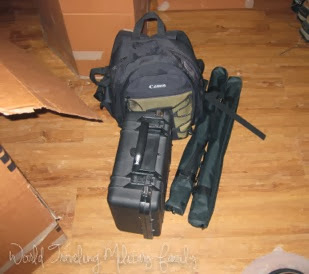 There was no damage to any of the items, which I was happy to discover. 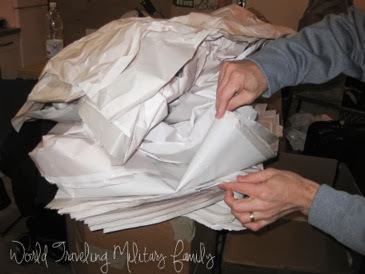 There were a few quirks about some of the stuff they packed. Like the threw all our shoes in the kitchen trash can, who does that? Thankfully Mr. B and his OCD and cleaned out the trashcan before we packed it. They also wrapped what they called ‘dog bed’ and you unwrap it and find the dog bed, dog food, and Christmas wrapping paper. And then stuffed it with this, folded just like this! So glad we weren’t close on our weight limit! We were allowed to ship 1600 lbs but we only shipped 815 lbs! Now if I KNEW that we would be living in an hotel/apartment for months I would’ve shipped closer to the full 1600 lbs! I guess if those quirks are the worst thing that happened then we’re good. I can only imagine what’s in store when we get to unpack our HHG’s! One shipment down, one to go! Glad you got your 1st shipment. And yay for staying under! We did all but the trip back to the US. I guess we kinda underestimated how much stuff we had. Well we know we have dirty dishes to look forward to, not sure how fun that is going to be, LOL! !